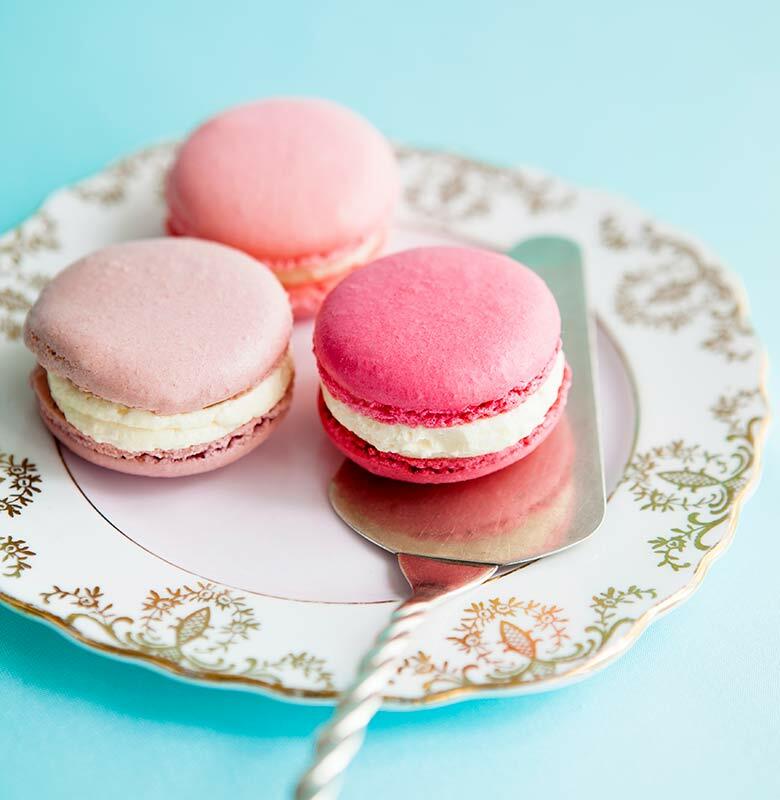 There is nothing more delicious than a buttercream macaroon and Woman’s Weekly cookery editor Sue McMahon knows how to make the very best. In our introduction mini-video here we show you how to get started but to see Sue’s full step-by-step macaroon recipe video guide and find out her expert tips, simply enter your email below. *By submitting your details you will receive regular news and offers, via email, directly from the Woman’s Weekly team. You can unsubscribe directly from the email communications you receive, at any time. With their pretty pastel colours, these macaroons are melt-in-the-mouth delights and the perfect party treat for everyone in the family. Kids love their tiny size and, if you’re trying to watch your waistline, just one isn’t going to break the diet. You’ll need a steady hand for the piping but otherwise they’re simple to make. You can prepare them well before your special celebration and then pop on a plate, stacked high. They’ll soon disappear! Freeze a batch of buttercream macaroons in plastic tubs for up to a month or keep chilled in the fridge for 3-4 days. Always allow to return to room temperature before serving. After freezing, this will take a few hours.